Doi Inthanon (aka Doi Luang) is the tallest mountain in Thailand and sits at 2565 metres. 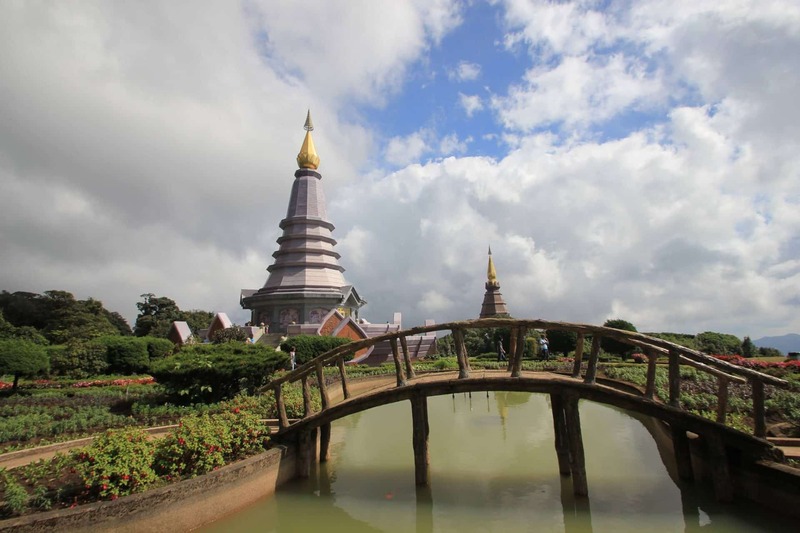 It is located in the Chiang Mai Province in the northern part of the country. Doi Luang translates to ‘the huge mountain’ in the local dialect. Some Thais will refer to this mountain as Doi Ang Ka which basically means ‘the pond of the crows at the peak’. The reason for the translation is that in the past, there was once a tiny pond where crows gathered at the mountain. 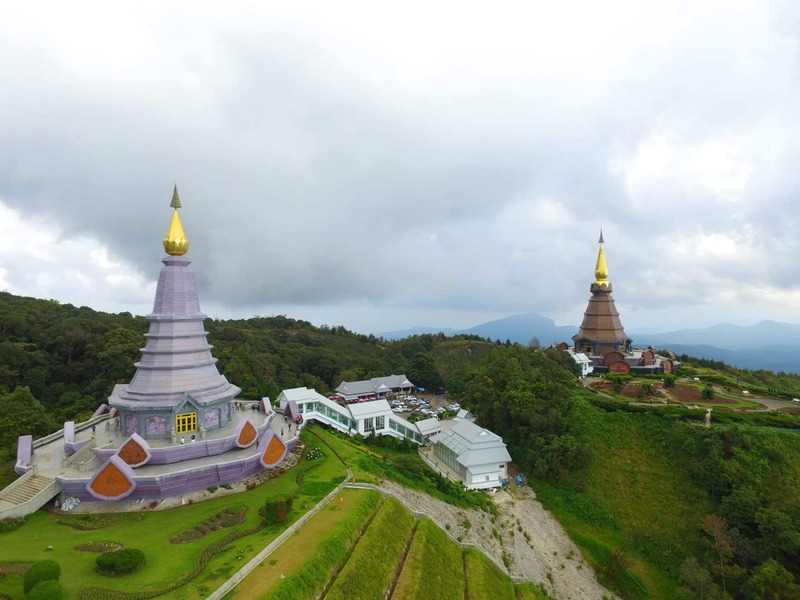 The main attractions of Doi Inthanon National Park is the summit of Doi Inthanon, waterfalls, walking trails and the two stupas dedicated to the King and Queens 60th birthday anniversaries. 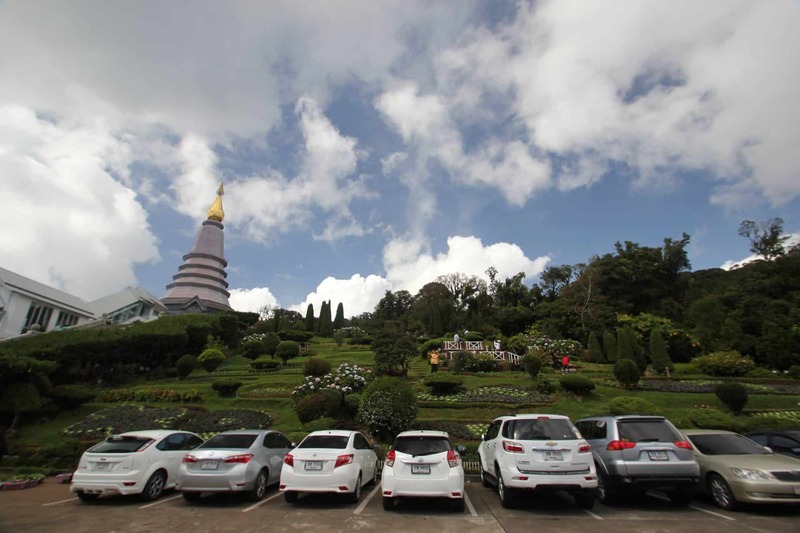 Doi Inthanon is popular with both local and international tourists, with many of them choosing to visit the peak of the mountain at the turn of every New Year. If you choose to tour this region at this time, keep in mind the high rates for the tourist peak season. While at Doi Luang, it is easy to spot the dual giant stupas. These remarkable pieces of architecture were constructed to observe the anniversaries of the royal family. The stupas offer remarkable views of the surrounding landscape, and are a vantage point for photographic moments. Nature photographers especially, enjoy this panoramic view. You may also want to tour the Wachirathan Waterfalls where water plunges to the bottom above the elevated cliffs. The sound of rushing waters with the backdrop of verdant forested slopes makes for an excellent getaway. 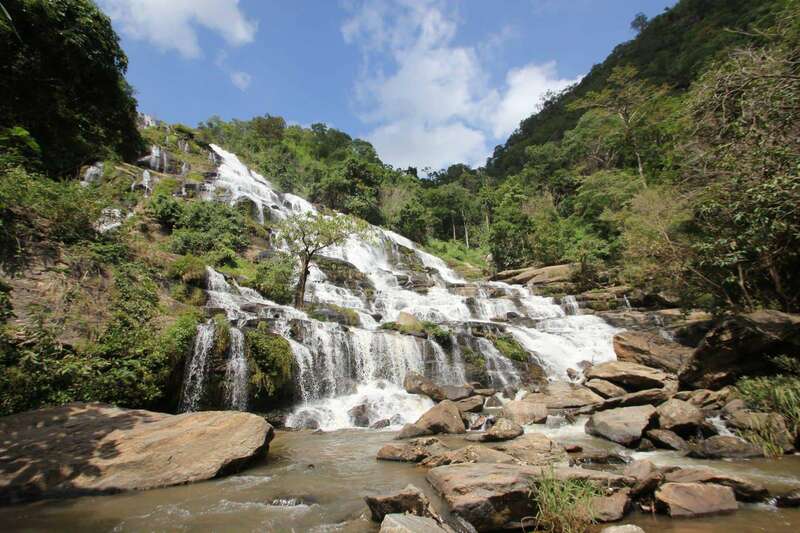 Mae Ya Waterfall, Mae Klang Waterfall and Mae Pan Waterfall are also great options with mostly constant flow. The best time to visit the falls is during the rainy season between May to November. 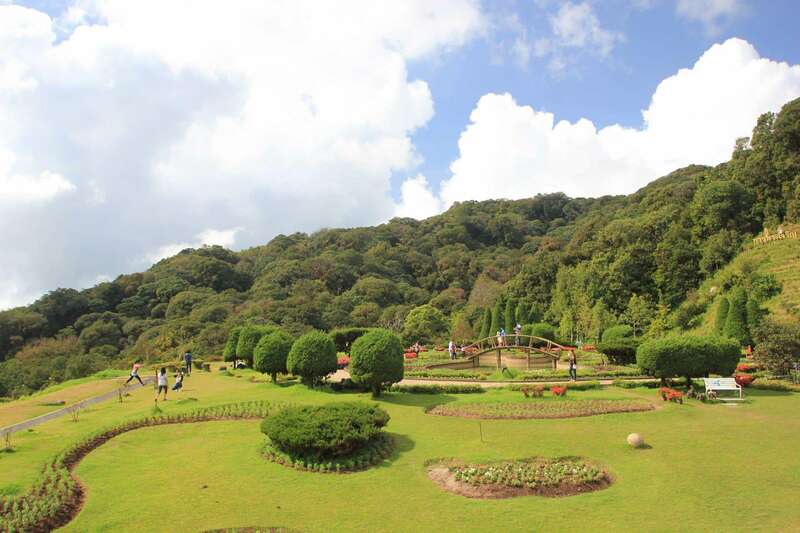 Doi Inthanon National Park is best reached by car or tour, as the road up to the mountain is very hilly and windy. Once you get to the top of the mountain, there is a car park and food and drink stalls. 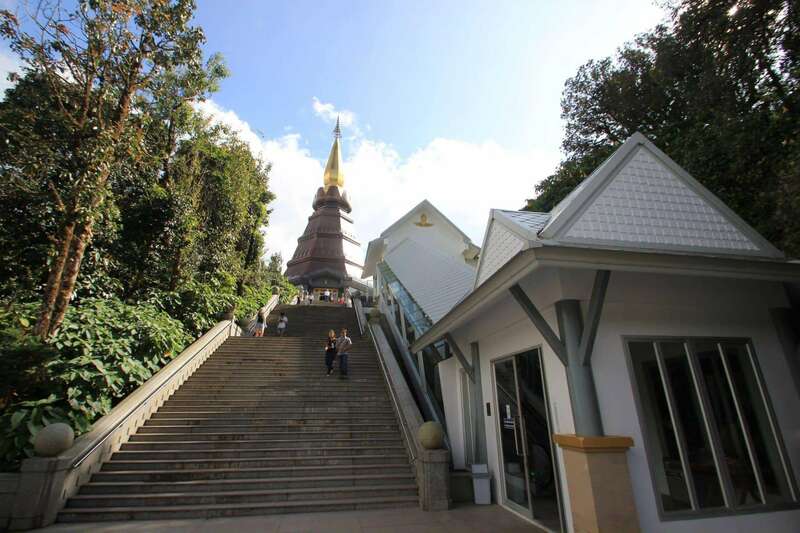 You can head up to the pinnacle by climbing around 100 stairs, or if you want to save your legs, you can take the convenient escalator which takes you up to the top on both sides. If travelling up early in the morning, bring a jacket as it can get chilly at the top. Doi Inthanon National Park is a perfect tourist’s destination for anyone who would like a touch of nature and a glimpse into Thai architecture.